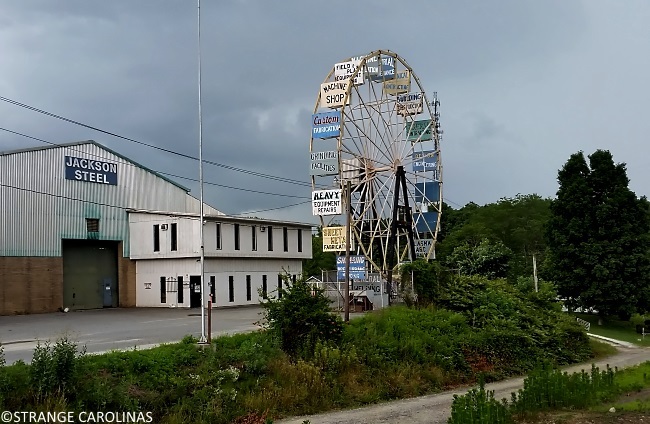 The wheel was actually the second of two that had been on the company property. A friend of Tillman's, Larry Justus, had found a water wheel from an old mill on his property and wanted to restore it. Over the months that the wheel sat on the property, delivery drivers began using it to mark where the business was — and became lost when it was no longer there. Tillman then built the current ferris wheel so that drivers could once again find his business. Yeah, it would've probably been a lot easier and cheaper just to make a big sign, but it wouldn't have been nearly as cool. In the "seats" were advertisement signs for various businesses, along with one that encouraged other companies to "ride their advertisements" on the wheel as well. The wording of that sign got lost in translation, however, for many people drove past. 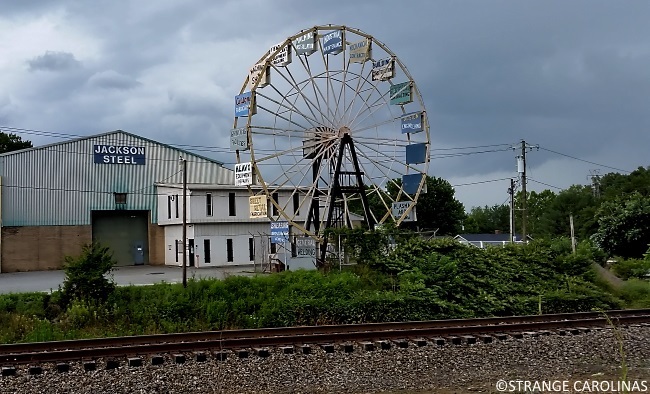 The wheel also caused a few other problems — vehicle crashes that happened as passersby diverted their attention from the road to the Ferris wheel, trying to figure out whether the wheel actually was turning. So apparently a sign would not only have been easier and cheaper, it probably would've been safer too. But still nowhere near as cool.